In December 2003 Prime Minister Ariel Sharon publicly announced the Disengagement Plan. Against acrimonious resistance from his own ranks he ordered 21 Jewish settlements to be razed to the ground. The father of the settlers' movement, this general who was responsible for the massacres of Sabra and Shatila, turned into a strategic statesmen who committed himself to peace in the Middle East - and with eyes wide open, single-mindedly destroyed his life’s work. Who was Ariel Sharon? How did the historic decision which lead to the eviction of settlers in Gaza and Samaria come about - thus clearing the path to a possible peace agreement? Since January 4th 2006 Sharon has been fighting a different battle - the battle of life and death. 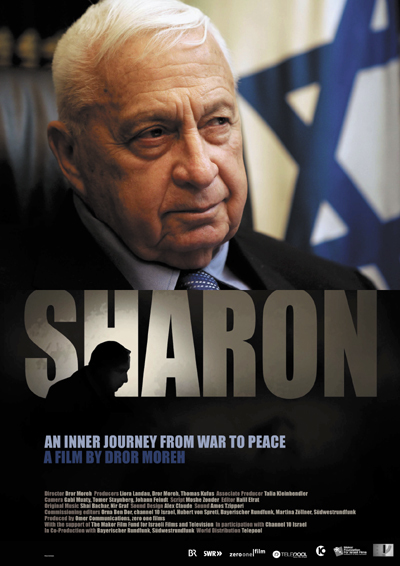 In the years prior to his devastating stroke the director Dror Moreh accompanied the Head of State with his camera in an attempt to get to the heart of the puzzle that was Sharon in his later years. 70 hours of exclusive footage were created, introducing a different man who, until now, was hidden from public view. The footage is emotional and private: Sharon thinks aloud, jokes, remembers times long gone and muses over the future, dreaming of a motorcycle trip to Mongolia – he goes about his daily routines as if the camera wasn’t around. A unique home movie evolved, supplemented by interviews with companions of the past decades and archival footage from his public life. The film cannot answer all the questions the person refused to answer. But the person behind the statesman becomes acutely visible and the audience gets a sense of the inner conflict which forced Sharon to abandon his life’s vision of a Greater Israel and adopt and implement new positions. Moreh’s film is not explicitly political yet it allows an insight into Israeli politics and the motivation inciting them. The film is classical tragedy and didactic play at the same time – emotional but not lacking the appropriate distance to the protagonist. This is a film which reaches far beyond the pattern of perpetrator and victim that has haunted the Middle East Conflict from the beginning.